The long-awaited Republican tax reform plan, the “United Framework for Fixing Our Broken Tax Code,” was unveiled on September 27. Its authors, known as the “Big Six,” are House Speaker Paul Ryan (R-WI), House Ways and Means Committee Chairman Kevin Brady (R-TX), Senate Majority Leader Mitch McConnell (R-KY), Senate Finance Committee Chairman Orrin Hatch (R-UT), Treasury Secretary Steven Mnuchin and White House National Economic Council Director Gary Cohn. Without much detail, the framework outlines a 20-percent corporate rate and a maximum 25-percent small business rate for sole proprietorships, partnerships and S corporations. Full expensing of new capital expenditures purchased after September 27, 2017, would be allowed for five years, and the deduction for net interest expense would be limited and not eliminated as had been rumored. As a trade-off for a lower corporate rate, most deductions and credits, including the section 199 deduction for manufacturing, would be repealed. The popular and bipartisan tax credit for research and development (R&D) would be preserved. To promote global competitiveness, the framework moves U. S. tax policy to a “territorial” system to incentivize the repatriation of accumulated foreign earnings and to level the playing field between parent companies domiciled in the U.S. and companies domiciled in foreign countries. 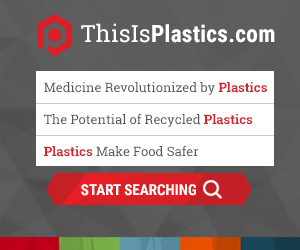 PLASTICS supports the plan in its current form. Now it is up to the congressional tax-writing committees to add the details in a tax reform package that can pass both houses of Congress. Work on tax reform will begin after both houses pass a budget vehicle to be used for “reconciliation,” a legislative procedure that will require only a simple majority of votes to pass a tax package, 218 in the House and 51 in the Senate, and cannot be filibustered. The House and Senate majority as well as President Trump want to see final passage of tax reform before the end of 2017.